interactive fiction – XTads etc. 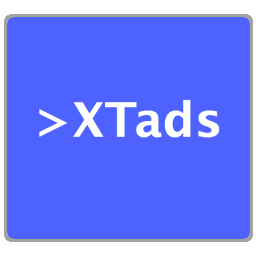 XTads is a TADS 2/3 interpreter for macOS (version 10.9 and higher). It’s a GUI application, with native macOS look and feel. Game output is text-only, with limited/simplistic support for HTML. A new “Open for Testing” dialog, to allow recording/playback of command scripts and recording output transcripts, aiding game authors in regression testing. See Game development features for more details. XTads is still a work in progress. Bug reports and suggestions are more than welcome – see contact info in the program’s About panel. The Open Recent menu now shows proper game titles (when available). Banners with help menus no longer flicker when navigated with keyboard. Fixed a build issue related to macOS 10.13 (High Sierra). Fixed several threading issues related to macOS 10.13 (High Sierra). Note that building XTads pre-beta 6 from source on macOS 10.13 (High Sierra) is problematic, due to changes in the dev tools. I’ll try to address this in the next version of XTads. XTads is a TADS 2/3 interpreter for Mac OS X (version 10.9 and higher). It’s a GUI application, with native Mac OS X look and feel. Game output is text-only, with limited/simplistic support for HTML. Fixed (or greatly alleviated, at least) a serious issue to do with window/view resizing as the amount of buffered text grew. TADS 2 games using HTML output were especially affected. Right and center aligned text in banners now updates continually as window gets resized. Changing the background colour of the main output area didn’t work. Source code: character set translation (.tcp) files were missing, preventing a correct build.